It’s only been four short months since we first hoisted our Fiscal Sponsorship shingle high above the Film Independent storefront, offering filmmakers an exciting new way to access institutional grants and offer tax-deductible benefits to project donors. In last month’s inaugural #FiscalFridays round up we highlighted three projects: the Hawaiian-set metaphysical drama I Was a Simple Man, the star struck coming-of-age comedy Alaska is a Drag and the queer-themed romantic drama Clementine. About: In 2013, Japanese artist Yoshi learned of his mentor Rebecca’s death on Facebook. The cold, matter-of-fact nature of the announcement altered something inside of him. He felt compelled to do something purposeful. As Yoshi thought, he walked. He walked what he called “the circle of life”—connecting with Rebecca’s family and friends (on foot) to learn about her from each of them. At the journey’s start, Yoshi must cover 40 miles a day in order to reach California from New York for Rebecca’s memorial. The miles take a toll on him, but each time he’s ready to give up, something happens to inspire him to continue. At Rebecca’s grave, Yoshi decides to continue his walk—with part of Rebecca’s ashes—to a place she always wanted to visit: Japan. 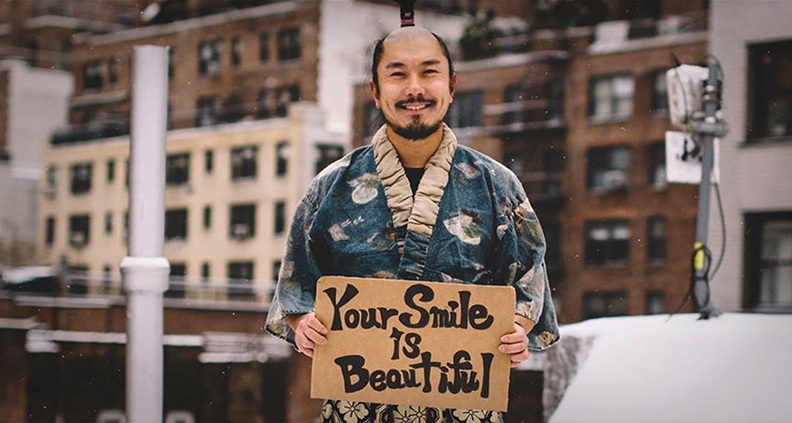 Waling across Japan, Yoshi is reminded of his troubled childhood, and we soon discover the reason behind Yoshi’s desire to connect people with a simple tool: smiles. To learn more about Yoshi: Wake Up with Me, the filmmakers and how to support the project, click here. About: At an Oregon public school we meet Jake Warner, a deaf teen and gifted track athlete frustrated by his public high school. Fed up, Jake decides to transfer to a state-funded, all-deaf boarding school: the Oregon School for the Deaf. But Jake quickly discovers that acceptance doesn’t come easily. Nothing seems to go his way. His new (deaf) track coach, Fred Farrior, steps in to ease Jake’s adjustment, urging Jake to trust his teammates and work together as a team. Distrustful of others, Jake shuns team events and instead concentrates on his own hurdle races. Coach Farrior issues the boys a challenge to win the State Track Championship, hoping that the publicity will to save the school from looming defunding. The boys transform from a group of misfits into a rousing team of warriors. They soon begin to surpass expectations and qualify for State, where they face their greatest test. To learn more about Inside Track, the filmmakers and how to support the project, click here. About: To the world, they were the “Boogie Woogie Bugle” girls. 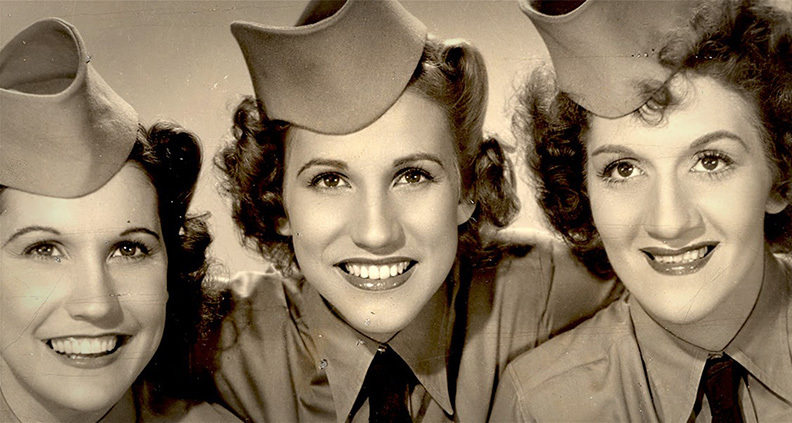 But underneath all of the beautiful harmony and smiling salutes, 1940s vocal pop icons The Andrews Sisters struggled to balance their public personas with the many secrets they kept hidden from the world. Now Lynda Wells, the woman who stood by Maxene Andrews’ side for over 20 years is determined to set the record straight and tell the world the real story behind Maxene, and her two sisters. (This project is still unfolding, and at the behest of Maxene Andrews’ loved ones, the filmmakers have been asked not to publicly reveal certain details about the film until the documentary is close to completion.) To learn more about An All-American Affair, the filmmakers and how to support the project, click here. To learn how to become a Member of Film Independent, just click here.